Strategic Foresight and Warning (SF&W) is at once process and analysis. 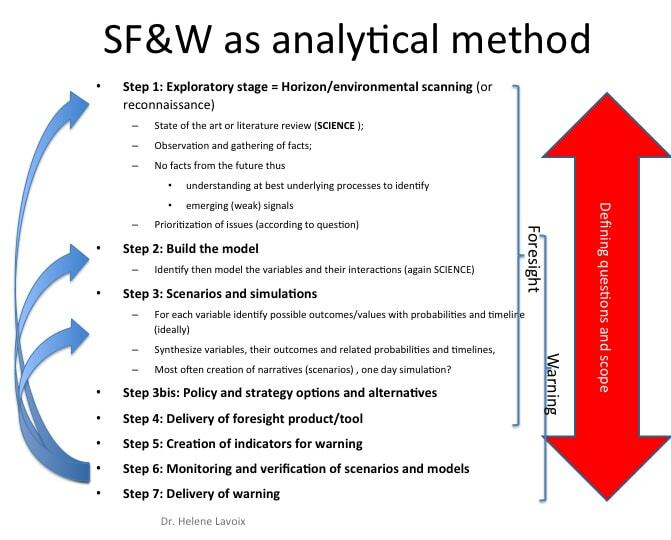 By SF&W analysis we mean all methodologies and related issues allowing for the development of an understanding grounded in reality that will generate best anticipatory products, useful to decision-makers and policy-makers for carrying out their mission (to find your way within the myriad of labels given to anticipatory activities, see Intelligence, strategic foresight and warning, risk management, forecasting or futurism? (Open Access/Free) and When risk management meets SF&W). A good bibliography is a typical part of what is involved in step 1, to which must be added an ongoing scan as what is done with the Red (Team) Analysis Weekly. A more detailed discussion of step 1 and 6 can be found in the section scan & monitor. A summary of the methodology used for the second and third steps is presented here with mapping dynamic networks part I & part II; followed by Determining criteria: a revisited influence analysis; Variables, values and consistency in dynamic networks; and finally Constructing a foresight scenario’s narrative with Ego Networks. The Chronicles of Everstate are an early experiment exemplifying one way to map an issue and how ego networks can be used to develop narratives. Our online course, From Process to Creating your Analytical Model… focuses on the creation of the model, thus on the most fundamental part of these steps.. Examples of scenarios and their indicators are given for Syria and Libya. Furthermore, as far as Libya is concerned, we detail the methodology to evaluate the likelihood of each scenario. Another example of the narrative can be found here. 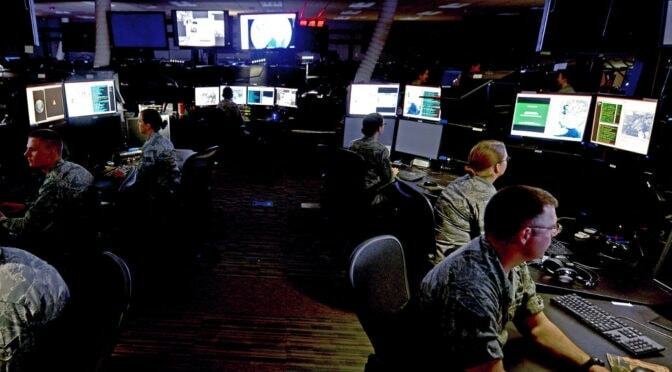 Those steps are also addressed in the section Assessing future security threats, where we share our latest insights and foresights on methodology using specific geopolitical global issues, risks and uncertainties as case studies. The public part of our monitoring – step 6 – is done for various issues through The Sigils, as well as through The Weekly(both open access/Free) You can also find monitoring at work in our Horizon Scanning Board (Open access/Free). Furthermore, these real life indications allow checking the validity of scenarios, and updating the model used for each issue, if necessary. Finally, monitoring is necessary – if not crucial – to identify new emerging issues (the feedback on step 1).